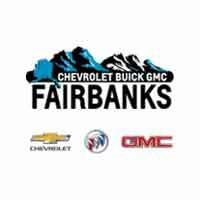 Welcome to Chevrolet Buick GMC of Fairbanks’s Automotive Service Department! Chevrolet Buick GMC of Fairbanks’s services new and used GM vehicles, and all other makes and models. We make it easy to schedule an appointment online at Chevrolet Buick GMC of Fairbanks. And we’re conveniently located near Fairbanks, North Pole and Fort Wainwright, AK. Just drop your car off and we’ll usually deliver same day service for most auto repairs, truck service and car maintenance. When it comes to maintaining and repairing your car, truck or SUV, we know you have a lot of options near Fairbanks, North Pole & Fort Wainwright. And choosing the best auto shop near you can be challenging. Even with the prevalence of online reviews, you may still encounter local mechanics that use incompatible parts, who don’t do quality work, and mechanics that hit you with surprise charges when you get the final bill. At the Chevrolet Buick GMC of Fairbanks Service Center we offer an unparalleled experience backed by service guarantees you can trust. The Service Department at Chevrolet Buick GMC of Fairbanks is one of the best places in Fairbanks to take your car, truck or SUV for maintenance and repairs. Our Chevrolet, Buick, and GMC Certified mechanics work in state-of-the-art automotive facilities and will help you prolong the life of your vehicle through regular maintenance, multi-point inspections and repairs as needed. And we can service any make or model vehicle. At Lithia Automotive Service Centers we work on your schedule. You’ll get up-front pricing so you know what to expect and what we’re repairing, and we guarantee all of our work on your vehicle. Learn more about the value you get when you bring your car to the Service Department at Chevrolet Buick GMC of Fairbanks.